Until now, smart devices have been limited — unable to communicate with onboard systems. 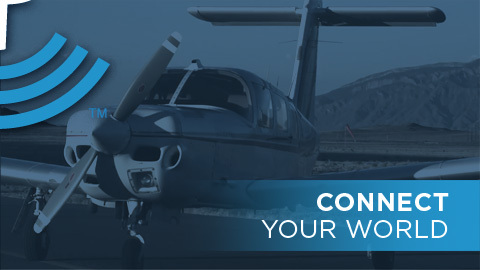 Aspen’s new Connected Panel™ technology creates a managed wireless link between your smart devices and certified panel-mounted avionics. 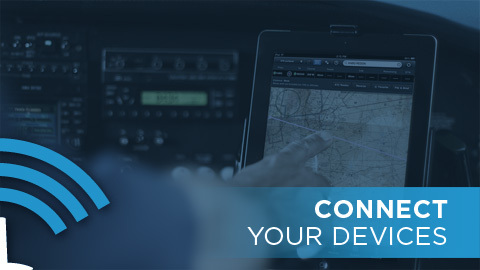 Evolution Flight Displays are designed to network with a variety of certified avionics from many manufacturers, making the Evolution system a natural nexus for access to and control of flight data. 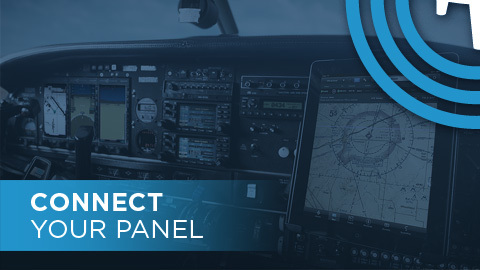 Aspen’s new Connected Panel™ technology creates a wireless link that integrates portable smart devices into the certified avionics ecosystem. Connected Panel™ technology allows you to tie your world together seamlessly into a fully integrated flying experience. 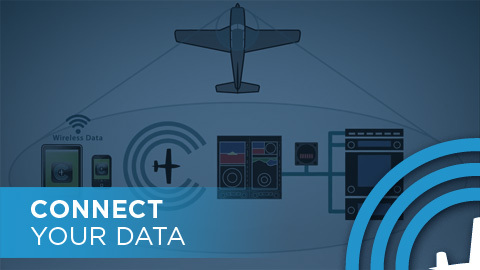 Upload your flight plan, tune your radio with a touch, record flight data, automate maintenance records...the possibilities are endless. An expanding suite of Connected Panel Enabled™ apps from a vibrant community of developers promise to not only make your favorite apps more useful and powerful, but you can anticipate innovation beyond the bounds of any current products. The best uses of Connected™ technology will be as surprising as they are powerful.